SpectorDance was founded in 1997 with the mission to provide excellence in dance training and performance for all our community members. We accomplish this by offering a wide variety of dance-based activities that connect diverse artists and audiences, bridging disciplines through collaboration and celebrating the power of dance to inform and inspire. ​The vision is to utilize dance as a vehicle to nurture ​creativity, expand community, and fuel the human spirit. SpectorDance School is the “heart and soul” of our organization. 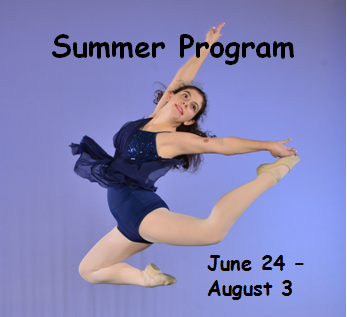 Based on our graded curriculum developed by master teacher Fran Spector Atkins, our school provides training in a nurturing environment for all ages and levels of experience in a variety of dance styles. Along with developing dance skills, our training strives to build important life skills such as commitment, discipline, and respect for others. Our teachers pay particular attention to alignment, functional anatomy, and the emotional needs of our students. Since 1997, artistic director, Fran Spector Atkins and media artist, William Roden, have created multidisciplinary performances exploring themes that are relevant to our community. These Company projects expand the role of artists in raising awareness of critical social issues, bring diverse audiences together around a shared experience, and spark important dialogue, the first step toward action. Through subject choice, presentation style, and programming that is educational and entertaining, Spector Atkins is bringing dance to broad audiences and building the role of dance in our community. Our very own Fran Spector Atkins, Artistic Director and Founder of SpectorDance, is one of many voices that you can read about in the article “Artists from various fields help us form a picture of the arts in Monterey County” by Walter Rice in the Monterey County Weekly. See how these artists from different mediums have shaped the creative arts in Monterey County and what is in store for the future. Fran Spector Atkins is the Artistic Director and Founder of SpectorDance, located in Marina, CA. SpectorDance's mission is to provide excellence in dance training and performance, accomplished by offering a wide variety of activities that connect diverse artists and audiences, bridge disciplines through collaboration, and celebrate the power of art to inform and inspire. SpectorDance’s vision is to create socially relevant art, expand community, ignite creativity, and fuel the human spirit. To carry out its mission, SpectorDance has a School, Company, SpectorDance On-Site, the Choreographers Showcase, and the Sadie Rose Residency Program. The company's repertoire focuses on contemporary dance that integrates music, spoken word and visual technology, and focuses on socially relevant topics. Collaboration with outstanding non-arts organizations is key to every Company project. ​Examples include Common Ground, a collaboration with the United Farm Workers, about California agriculture; East West, a collaboration with Rancho Cielo about gang violence; Ocean our first collaboration with Monterey Bay Aquarium Research Institute (MBARI) about the state of the world ocean based on filmed interviews with renown ocean scientists, and Ocean Trilogy, a continued dance-science partnership between SpectorDance and MBARI, highlighting hopeful possibilities for ocean health from cutting-edge ocean science research.. The company was selected by The Arts Council for Monterey County as the Outstanding Arts Organization in Monterey County in January 2007 and was a national finalist for the Ovations TV award for Excellence in the Performing Arts. Spector Atkin’s professional credits include a B. S. in Occupational Therapy from Boston University, an M.F.A. from Mills College in Dance and Choreography, and Certification in Laban Movement Analysis from the Laban/Bartenieff Institute of Movement Studies in NYC. Spector Atkins is an ABT® Certified Teacher, who has successfully completed the ABT® Teacher Training Intensive in Pre-Primary through Level 3 of the ABT® National Training Curriculum. Spector Atkins began her professional career in New York City, where she performed with the Incredible Journey Dance Company and the Mariko Sanjo Dance Company. Since 1977, she has been an independent teacher and choreographer and directed studios in NYC, Cleveland, and Monterey. She has been invited to teach, choreograph, and perform throughout the United States and abroad. Some of her outstanding experiences include guest teaching and presenting her choreography at Oberlin College, Brown University, at the Smithsonian in Washington, D.C., the Aquarium of the Pacific in Long Beach, and in Denmark, Egypt, England, Israel, the Island of Guam, Taiwan, and Italy. In Fall 2018, SpectorDance Company will perform at the New Victory Theater in Santa Barbara, and In Spring 2019, at Stanford University in Palo Alto and at Sunset Center in Carmel. Please consider supporting us with a donation. Every donation of any size makes a difference. Become a community partner with SpectorDance by sponsoring a performance or educational program.